Release notes are available for currently supported product versions. They provide an overview of system enhancements, new features, and issues addressed in the version of released software. This release also includes several bug fixes and improved DCU communication fixes for both the IntoPlane Client and the Varec Wireless DCU. The FuelsManager Aviation Accounting system has been updated to import additional operational fields collected by the IntoPlane client for Issue, Defuel, and Load Rack transaction types. The FuelsManager Aviation Enterprise Export feature has been updated to send additional operational fields collected by the IntoPlane client to the latest FuelsManager Enterprise System. The FuelsManager Aviation Accounting system has been updated to support compliance with new A4A 123 Accounting standards. The FuelsManager Aviation Dispatch system has been updated to display a near real time fuel pumping percentage completion for a flight based on the gross calculated add. The FuelsManager Aviation Dispatch system has been updated to display the current inventory for a tanker. The IntoPlane Truck client has been updated to support the Honeywell Thor VM1. The IntoPlane Truck client has been updated to support the enhanced Varec 8220 DCU. The IntoPlane Truck and Mobile clients have been updated to support the creation of load rack transactions. The IntoPlane Truck and Mobile clients have been updated with a more streamlined data entry process for General Aviation transactions and the ability to support dual meter environments for General Aviation transactions. The journal refresh feature honors the precision configuration for the selected product. The FMAE Client Interface has been updated to gracefully handle transactions that have a product stored, but the product is not configured in the Accounting system. The interface now includes the erred transaction as part of the error reporting result set. The inventory reconciliation feature honors the precision configuration for the selected product. The IntoPlane client has been updated to prevent the application from slowing down at the end of a typical day of operations. This bug was related to a problem found in the background process for updating vehicle information. The IntoPlane client has been updated to resolve an issue associated with the RTD being reset if the user reconnects to a DCU while in the middle of an active fueling transaction. In addition to these enhancements, this release includes several bug fixes and improved DCU communication fixes for both the IntoPlane Client and the Varec Wireless DCU. Enhancement to the Enterprise Export feature to send email notification to a configured list of email addresses in the event export errors are generated. Enhancement to the Enterprise Export feature to send transactions to two different Aviation Enterprise systems. The two systems could be two legacy Aviation Enterprise systems, two Cirrus Enterprise systems, or one of each type. Enhancement to the Accounting system that allows users to mark which transfer transactions to exclude from the End of Month (EOM) adjustment calculations. Enhancement to the Accounting system that allows users to print the new Inventory Reconciliation End of Month A4A report. Users can now select whether to print the standard Inventory Reconciliation report or the new A4A report. If only one of these reports exists on the system, the application does not require the user to select the report, and simply attempt to print the report automatically. Enhancement to the IntoPlane client to send a calculated add permissive command to the WDCU for Aviation transactions. The permissive command causes the DCU to send a digital output signal. Users may use the digital signal for any purpose they choose. Along with the permissive command, the IntoPlane client also sends a maximum volume throughput value and a permissive timeout value. These values are stored in the DCU upon configuration of the DCU. If these values are exceeded the DCU will disable the digital output signal. Enhancement to the IntoPlane client that runs on the Honeywell Dolphin 99EX handheld computer with the same features as the LXE MX9. Enhancement to the IntoPlane client that no longer supports software license keys. This means that the PocketLicStd.dll file can be removed from the application folder on the handheld client. Enhancement to the IntoPlane client to allow the user to configure whether to send the LCR Reset command to DCUís with firmware earlier than WDCU2_02. Resolved the issue to remove deprecated NetMotion client API functions from IntoPlane to allow support the latest NetMotion client software. A new tool called the FMDensityEnforcer has been implemented that monitors the latest operational product density value stored in the database. If that density has not been updated after a configurable time of day, the tool displays a density entry window that consumes the entire workspace area for Dispatch users only. Users are not be able to interact with any other window except the density entry page. No changes were made to Dispatch to support this feature, but the Configuration tool was updated to allow the entry of fuel density for each product. Enhanced the core applications (Dispatch, FSAdministration, IntoPlane, and IntoPlane Express) so they can be configured to wait until the FuelsManager Aviation Services Manager service has completely started all configured Aviation services. This feature is configurable to be ON or OFF. Resolved an issue in Accounting that MGR to MGR transfers do not cause incorrect accounting journals after refresh. Resolved various bugs during testing of Cirrus/FMAE Migration. Resolved an issue in Dispatch (RSM.exe) related to the STA being set to the ETA when using the multiple-dispatch feature. Resolved an issue where duplicate issue transactions being received from the daily accounting import file. Resolved the issue where MD8D aircraft type with zero arrival fuel does not detect the redistribution of block fuel load. Resolved the issue for electronic meters EMR and LMR, the DCU Configuration pulse ratio field should not be a configurable setting. Resolved the issue that improved the notification of server connection failures. Resolved the issue in IntoPlane client that properly displays a message to inform the user if it cannot retrieve the DCU tag instead of reporting a DCU Tag Mismatch. Resolved the issue to ensure that the IntoPlane client sends the LCR Activate/Deactivate Commands properly. Resolved the issue to update IntoPlane client to allow the user to configure whether to display the Windows Start bar on the Honeywell 99EX. Resolved the issue to update IntoPlane client to properly get the Calc(N) and Low Flow(N) values in the event that the connection to the DCU is lost and then reacquired. Resolved the issue to update IntoPlane client to trim all leading and trailing spaces from the Ship Number before validating the value. Resolved the issue to update IntoPlane client to make sure that FSRArchive.csv and all other log files properly wrap so that they do not exceed the size limit specified in the INI file. Resolved the issue to update IntoPlane to properly handle the Flight Refresh button on the Select Flight screen when the IntoPlane client is not actively testing for connectivity. Resolved the issue to update IntoPlane client to gracefully handle .dat files that have zero bytes in the file. Resolved the issue to update IntoPlane client to prevent AFSBusServ from recording an event log error when fuel audit logs are sent to the server. Resolved the issue to ensure the IntoPlane client disables all calculated add permissive signals, and resets the calculated add process for a DCU in the event the user wants to get the Meter Start value while a DCU is actively processing a transaction. Resolved the issue on the flight selection screen, when a flight number is typed, followed by a click of ì>>î the flight selected was always the first flight on the list. Resolved the issue on the flight selection screen, the ìDeleteî button was sometimes active when no flight was selected and not active when a flight was selected. Resolved the issue for MX9, when going in and out of resume/suspend, the users sometimes get a dialog that states the “PC Card in Slot” for the network is unavailable. Resolved the issue to ensures that the IntoPlane client sends the GSE Permissive signal to the DCU. Resolved the issue to update the client where users were missing completed transactions when operating in Batch mode. Resolved the issue to ensure that when editing values on the Arrival Gauge, Require Gauge, Final Gauge, Meter Start, or Meter Stop screens, fuel load updates are not processed. This prevents the loss of focus on those screens. Resolved the issue to ensure that if a flight is completed on the server, the IntoPlane client detects this condition, reports to the user, and prevents any further operations on the transaction. This prevents duplicate transactions from being sent to the server. Resolved the issue to prevent alerts from being generated on the server when the IntoPlane client attempts to send fueling updates for a transaction that is manually created on the handheld. Resolved the issue to ensure that the station ID in the FSR always remains consistent with the INI ìDefault Station IDî. This allows users to specify the ìStationIDî field in the ticket template file for printing the correct origin value. Resolved the issue in IntoPlane-Express where the density value entered does not get populated in the Daily Fuel Transactions file. The density always comes in as zero. Resolved the issue to Update the Delta FEDS interface to preserve the FTZ setting on a flight already in Dispatch. In addition to these enhancements, this release includes several bug fixes along with improved DCU communication fixes for both the IntoPlane Client and the Varec Wireless DCU. Resolved an issue in Accounting application where the Fuel_CP value in the IntoPlane/Accounting export file was always being set to zero. Resolved an issue in Accounting ExSTARS plugin where the processing of transfer transactions caused a SQL syntax error related to the ACCT_TX13.TO_OWNER field. The Dispatch system has been updated to resolve an issue where the processing of arrival flight messages from Delta causes the FTZ indicator to be set to false. Enhancement to the IntoPlane client to allow for wing to wing arrival fuel balance validation. The calculations are performed on the IntoPlane client, and all thresholds are configurable by aircraft type. If a threshold is exceeded the user has the option to select a reason code to associate with the transaction. This code is eventually sent to Delta Airlines for processing via the eFSR validation process. Because this feature is only required by Delta Airlines, the logic is only invoked for Delta Mainline flights. Enhancement to the IntoPlane client to allow users to perform net volume calculations using a corrected gravity value associated with the product used in the transaction. This feature can be enabled or disabled and is used as a secondary option to the standard gravity configuration in the INI file. Enhancement to the IntoPlane client to send a permissive command to the WDCU when performing GSE transactions. The permissive command in turn causes the DCU to send a digital output signal. Users may use the digital signal for any purpose they choose. Along with the permissive command, the IntoPlane client also sends a maximum volume throughput value along with a permissive timeout value. These values are stored in the DCU upon configuration of the DCU. If these values are ever exceeded the DCU will disable the digital output signal. Enhancement to the Aviation Configuration tool to allow users to specify the wing to wing arrival balance tolerance and also specify the lateral orientation of each tank with respect to the planes centerline. Enhancement to the Aviation Configuration tool to allow users to add, modify, or delete reason codes for arrival imbalance. These reason codes are synchronized with all IntoPlane clients using the existing reference data update process. Enhancement to the Aviation Configuration tool to allow users to specify the corrected gravity for any product configured in the system. The corrected gravity value is then synchronized with the product reference data on the IntoPlane client so that the IntoPlane client may perform net volume calculations at the wing. Resolved an issue in IntoPlane client where the Meter Start value was been lost after restarting the application. Resolved an issue in IntoPlane client where the Destination field is populated with the same value over and over when the “Destination Check” INI setting is configured with the value of 3. Resolved an issue in Accounting Export where the incorrect ìMeter Nameî value is placed in the file. Resolved an issue in IntoPlane client where the meter start values for a GSE Transaction was not properly populated with the totalizer value from the DCU. Resolved an issue in IntoPlane client where the client was causing the WDCU to reset multiple times during a fueling operation. Resolved an issue in IntoPlane client where the pop-up keyboard was not accepting entries from the numeric keypad on the keyboard. Resolved an issue in IntoPlane client where rotating pop-up messages continued to appear if a user remained on the finish fueling screen. Resolved an issue in IntoPlane client and server where the connection verification process was causing the operating system to deplete the number of source and destination TCP ports allocations. This issue caused several other services like SQL server, or any other network related service, to experience communication timeouts. Resolved an issue in IntoPlane client and WDCU to provide much more reliable communications when within Bluetooth communication range. Resolved an issue in IntoPlane client to ensure that all DCU registered meter movements (particularly those less than one gallon) are captured. Resolved an issue in IntoPlane client to ensure that the last meter value is always properly captured when finishing a GSE transaction. Resolved an issue in IntoPlane client to ensure that the Net Volume indicator in the FSR is unset when the temperature is invalid. Resolved an issue in IntoPlane client to ensure that a window control has proper focus after completing a GSE equipment configuration entry. Resolved an issue in IntoPlane client to ensure that the default values for the folder locations in the INI file are correct for the target device. Resolved an issue in IntoPlane client to the ensure that the default value for the shutdown key sequence is CTRL-ALT-SHIFT-J. The FuelsManager/Delta Turn Tracking FSR Validation Snap-in Interface has been updated to resolve an issue related to an error generated by an improper string formatting of the meter values stored in the FSR. Since the meter values are now stored as floating point values, the interface now properly formats the meter values as floating point values rather than integer values. The FuelsManager/Delta OSS FSR Validation Snap-in Interface has been updated to resolve an issue related to an error generated by an improper string formatting of the meter values stored in the FSR. Since the meter values are now stored as floating point values, the interface now properly formats the meter values as floating point values rather than integer values. The FuelsManager/Delta FEDS ACARS FSR Validation Snap-in Interface has been updated to resolve an issue related to an error generated by an improper string formatting of the meter values stored in the FSR. Since the meter values are now stored as floating point values, the interface now properly formats the meter values as floating point values rather than integer values. Resolved an issue in the installation image with the latest version of the Sentinel Hardware Key drivers to support Windows 7 OS configured systems. Resolved an issue in the installation image that includes registry merge files that support the Windows 7 64 bit registry hive. Enhancement to Accounting that accepts the Ground Support Equipment (GSE) transactions. The GSE transaction updates the Accounting Aircraft Type with the Consuming Equipment ID. Automatic logout period for fuelers is configurable by administrator. Enhancement to add new functionality that allows dispatch of GSE transactions. The GSE transactions use barcodes to identify the GSE and enter the GSE into the handheld computer. Supervisors are allowed to assign unique barcodes for each Consuming Equipment ID. Volume is calculated to the precision configured by the administrator. De-Icing dispatch feature for the IntoPlane® client. 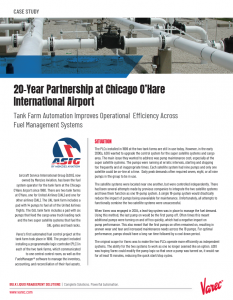 GSE fueling feature for the IntoPlane® client. Volumetric Top-Off (VTO) for the IntoPlane® client. Resolved the issue when the actively displayed product is changed, the decimal precision of the displayed gross and net values is correctly set to match the configured precision of the product. Resolved the issue shen the precision of a product is changed, the next screen refresh displays the gross and net values to the newly configured precision. Enhancement where additional user data fields are copied to the enterprise server. Enhancement to swap nose and tail numbers on import. Enhancement to use fuel density from the LDUExpress import file. Enhancement to correctly calculate transfers and book inventory when transfers occur between different managers. Enhancement to correctly calculate physical inventory when transfers occur between different managers. Enhancement to create a transaction ID when the transaction ID in the import file is empty. Enhancement to support multi-site support via Remote Desktop or Citrix. Enhancement to append the date and time to the end of an export file name. Enhancement to allow users in the Accounting group access to the import/export feature via the “File” menu. Enhancement to prevent multiple flight windows from opening. Enhancement to prevent the showing of two Dispatch windows upon starting up the application. Enhance performance during refresh operation by issuing more filter criteria to the SQL database engine and limit the number of flights loaded into memory and only bringing back the flights that meet the filter criteria. Performance enhancements to effectively run in a virtualized environment. Enhancement to allow users to create copies of specific flights. Enhancement to support the display of Minimum Equipment List (MEL) messages. Enhancement to remove obsolete menu items from the Dispatch View menu to prevent runtime errors: Predicted/Actual Resources and Resource Efficiency Enhancement to support the filtering of up to 500 gates. Enhancement to remove the Freeze Point Units label. Enhancement to repeat SQL command if a database deadlock occurs. Enhancement to copy the user data fields from the primary flight record to the secondary flight record on dual fueling flights. Enhancement to where the ETD is adjusted to be ETA+SFT or STD, whichever is later. Enhancement to provide ìStationî and ìUserDataî fields on dispatch tickets. Enhancement to calculate ETA for previous day when ETD is between 12:00am and 01:00am. Enhancement to resolve gauge synchronization and access violation. Enhancement to update the DCU configuration to save DCU connection information to the server. Enhancement to update logic to distribute the DCU connection information via vehicle updates. Enhancement to improve performance when downloading IATA code data. Enhancement to check and download newer versions of the IntoPlane client files by handheld profile. Enhancement to provide statistic of when the handheld checks for IntoPlane client updates. Enhancement to turn off IntoPlane client updates using a registry setting. Enhancement to ensure each IntoPlane client uses an independent connection and processing thread so it can communicate simultaneously with the server. Support of the new Varec 8232 DCU. Configure and/or retrieve the Varec 8232 DCU values, fuel temperature, meter calibration factor, coefficient of pressure (Cp) and net volume indicator. Retrieve standard density of fuel from the configuration file. Use fuel temperature and standard density to retrieve the volume correction factor (VCF) from the American Petroleum Institute (API) volume correction table 6B. Apply the VCF, meter factor, and Cp to the gross volume to calculate the net volume of fuel pumped. Communicate to Accounting and Dispatch the net volume parameters collected from IntoPlane. Operate in heterogeneous environment where some DCUs can provide net volume data and other DCUs cannot. Ensure the RTD is always powered on. The average fuel temperature is reset only at the beginning of a fueling transaction. Enhancement to support communication between the Varec 8230 DCU and the Veeder-RootÆ EMR3 Electronic Meter. Enhancement to support communication between the Varec 8220 DCU and the Veeder-Root EMR3 Electronic and LectroCountÆ LCR-II meters. Enhancement to support for Alternate Fuel Burn (BLOCK) calculations with Delta MD8D aircraft types. Enhancement to connect the MX5 handheld with the 8232 DCU without prompting for the PIN code during Bluetooth pairing. Enhancement display a prompt in IntoPlane when the fueler beings fueling a flight with alternate fueling requirements due to a specific type of MEL. Enhancement to support the ability to modify the required fuel distribution for connection carrier flights that are dispatched to users, and the Wing-to-Wing Tolerance feature has been stabilized. Enhancement to ensure the date fields do not allow an invalid year. Enhancement to directly connect to the DCU by selecting cart. Enhancement to auto-reconnect feature for the DCU with configurable reconnect interval. Enhancement to DCU connection status icon and text on all pages. Enhancement feature to display current load by pressing the F5 key. Enhancement feature to display arrival load by pressing the F6 key. Enhancement to add status windows between screen transitions to give feedback. Enhancement to improve performance on screen transitions. Enhancement to use a Diagnostic tool to time page transitions. Enhancement to update IntoPlane logic to bypass the DCU Reset count check when connected to an electronic meter. Enhancement that lead to a drastic reduction of COM 16 errors when connecting to a DCU using an MX9 handheld. Deploy different configuration for different handhelds at the same time. Download and install all necessary files even for future releases. CRC checking on IntoPlane client files downloaded. Provide statistics of when the handheld installs IntoPlane client files. Enhancement to present the user with a message box that allows the user to retry the uploading of transactions if should a problem occur during the transmission. Enhancement to support the notification of fuel caps for aircraft and the acknowledgment of whether fuel caps were replaced. Enhancement to Fuel Density has been added to the user interface. Enhancement to ensure the Operator ID selected at the Login Screen is populated into the FSR record. Enhancement to properly process Problem Identification (PBI) segments that are characterized as warnings or errors. Enhancement to ensure every receipt within the filing period contains a non-empty government bill of lading (GBL) field. Enhancement to support up to 200 characters for airport names. Enhancement to add MASS parameter to Wing-to-Wing Tolerance Type. Enhancement to write Registration IDs to the correct location for Defuel and other transactions. Enhancement to ensure UserData1 for Receipt transactions is propagated to the Enterprise Server. Enhancement to enable and disable controls based upon configuration in the registry. Enhancement to list all the Transaction IDs as failed if there are transmission problems. Enhancement to send all deleted transactions to the Enterprise server. Supports both 7.0 and 7.1 hardware licensing keys. Supports both SQL Server 2005 and SQL Server 2008. Resolved an issue when improper totals being displayed and reported in Auto EOM Adjustments. Resolved an issue to use both manager and product to filter the search for incorrect/inaccurate journal records. Resolved the following issues related to the standard import feature: Physical Inventories and Transfer transactions were not being imported : Allow the target system to accept updates or deletions from the source system : Supplier and shipping mode fields were not be properly set. Resolved issues to repair Data Dictionary and security issues when multiple users access the Physical Inventory Reconciliation feature. Resolved the issue to remove new-line characters from the notes field to ensure that the import process into accounting does not fail. Resolved an issue to suppress the date range when exporting deleted transactions. Resolved an issue for adding receipt transactions while viewing the receipt transaction list. Resolved an issue for product synchronization when drilling down from query results. Resolved an issue with the Meter Reconciliation feature when attempting to run the feature for transactions whose DESTINATION_REG_ID field exceeds 10 characters. Resolved an issue where transactions were being imported into a closed period using the standard CSV import. Resolved an issue where reversed transactions were being created into a closed period. Resolved an issue where Accounting journal closeout and refresh processes consumed 100% of CPU resources until complete and results in the system being unusable. The more owners a journal has the longer the process takes. Resolved an issue with run-time overflow error when zooming in on the main dispatch window. Resolved an issue with flight filter issue when using wildcards. Resolved an issue with memory leaks discovered in the FuelsManager Mobile Communications Service. Resolved an issue with memory leaks discovered in the FuelsManager Mobile Applications Service. Resolved the lock up issue. Resolved the issue where manual meter entry breaks the connection with the DCU. Fixed the issue which prevented the typing of the Vehicle ID as soon as the page appears. Resolved the issue of printing ETA and ETD values correctly on tickets. Resolved the issue of masking the software key in the log file. Resolved the issue to prevent the sending of transactions with an empty FSR Type. Resolve the issue to allow users to properly select the appropriate consumer for any ship number. Resolved the issue where an aircraft change creates a change in the number tanks. Resolved the issue to prevent the number of arrival gauges from being different between the server and IntoPlane. Resolved the issue to allow users to press the Enter key to dismiss the reference data dialog. Resloved the issue to manually created flights always allow the free selection of any gate or destination configured in the system. Resolved an issue where the final gauge validation warning always allowed the user to proceed even if they chose not to. Resolved an issue to fix application crash when modifying the ship number and aircraft type on a failed record. Resolved an issue to fix status bar error when exporting transactions. This release addresses issues across the system. Updated Data Dictionary Standard Settings. Resolved a bug when saving queries. Ensures all user data fields are persisted for Physical Inventory Transactions. Data Dictionary Performance enhancements in Accounting module. Resolved a bug selecting owners to assign to a manager. Prevents duplicate reversed transaction ID’s. Resolved an issue in the Physical Inventory Reconciliation feature regarding zero based physical inventories. Resolved a bug in the Auto EOM feature whereby the feature will not start properly when no records are present in the SYSTEM_CONFIGURATION table. Resolved some user control flow and message box confusion in the Auto EOM feature. Resolved a problem when attempting to run the Associate Reports feature from within the Container while Accounting is running. Resolved an issue whereby the beginning book inventory for the first day of the future month was not being carried forward after a closeout operation. Fixed a bug in the IntoPlane/Accounting import where the Net Volume values were being set to zero when the Temperature and Gravity values were populated. Fixed a bug in the IntoPlane/Accounting import whereby the Desired (UserData4), Arrival (UserData5), and Final (UserData6) fuel load information was being converted to U.S. pounds. Updated the IntoPlane/Accounting import to do a more robust duplicate transaction checking by using each character in each record to generate a unique transaction ID for that record. This resolves all issues regarding ticket number generation methods. Updated Signature_DTW.dll custom import to resolve a UserData Mapping problem related to the ACType. Resolved a bug where communication between IntoPlane® and Dispatch fails if messages become corrupted. Resolved a bug in Dispatch using the Multiple Dispatch feature where the main dialog is affected by the filter selected in the Multiple Dispatch feature. Provide support to clear arrival information on a flight if a ship number change occurs. Resolved a problem whereby Dispatch would create duplicate flights if the same flight schedule was imported more than once. Resolved a bug in the DispatchDB.sql database script where the T_TicketNumber database table was not initialized with a ticket number. Provided a more comprehensive data field validation that will not allow users to omit mandatory fields. Resolved a bug where the application would crash when attempting to perform a refresh operation on the Ship Number View. Resolved performance issues when submitting 24 hour tickets. Resolved lock ups with the IntoPlane® server when submitting Defuel transactions. Resolved a bug regarding the use of operator ID 0000. Resolved a bug related to the appending or stripping of the consumer code from the ship number. Resolved a performance problem when submitting manual FSR’s with into a database whose tblFSR table has more than 10000 records. Resolved an issue where the Desired (UserData4), Arrival (UserData5), and Final (UserData6) fuel load information is exported in the configured units. Before, all values were being converted to pounds when imported into Accounting. Enhanced meter stop screen by right aligning the screen title to allow for better visual identification. Removed DCU Configuration button from Select Transaction Screen. Resolved several screen and control flow issues in the handheld application. Removed start button from Splash screen and replaced with a new splash screen graphic. Resolved issues related to the resetting of fueling timing statistics like Meter Start Time, Meter Stop Time, etc. Once a user enters a screen the time is set only once. Added DCU/Bluetooth Communications logging for diagnostic purposes. Resolved bugs related to running the application in Batch Mode. Resolved security issues when running handheld application offline. Username and password are now validated in offline mode. Fixed to allow users to hit the <Enter> key on the key pad to transition from the Splash screen to the Login Screen. Modified Splash Screen image to say “Touch Screen or Hit Enter to Start” instead of saying “Touch Screen to Start”. This will mitigate any confusion if the touch screen is inactive. Resolved a bug in the DAP version IntoPlane whereby clicking the Printer Configuration would cause the application to crash. Resolved a bug that caused the application to crash when attempting to hit the <Enter> button while the Calc Add value was in focus. Added the Total value to the Meter Stop screen regardless of whether the handheld is configured for manual meter capture. Re-arranged Flight List Screen. Flight list columns are now in the following order. Updated client software to update DCU values upon completing a 24 hour ticket rather than at the Meter Stop Page. Updated a calculation error in the Tank Distribution Tolerance algorithm. Updated Ticket Number generation to include milliseconds in ticket number generation. This will aid in the prevention of duplicate ticket numbers. The IntoPlane client now generates ticket numbers locally. This allows ticket numbers to be printed onto paper tickets without consulting the server for the next ticket number. Resolved a bug in the application whereby the ship number is overwritten with a previous value when running with the Ship Verification .ini configuration value set to 3. Resolved performance problems related to the submitting of manual transactions. Allow users to hit the <Enter> key on the key pad to transition from the Splash screen to the Login Screen. Allow the user to designate which Volume calculations (API 1995 or API 2012) on a tank by tank basis they want to use. If API 2012 is selected, changes the Roof Mass calculation to be based on Product Density in air instead of in a vacuum. If API 2012 is selected, allow the user to designate an alarm (None, Disabled, or Enabled) for Gross Standard Volume, Gross Standard Weight, and Net Standard Weight process variables. When enabled, the user can designate a high-high, high, low, low-low, or hold off alarm. Allow the user to designate how mass is to be calculated for a specific tank. Single Window Operation has been changed to only open one window type per monitor. If the specific window is open on a monitor it will be brought to the front and given the focus. Alarm Logs can now be saved in an SQL table. BSW Calculations and Roof Correction modified to meet API 2012 (Ch. 12.1.1) requirements. Added factor to Density calculation to make results match API Table 8 (section 12.3 of API 2012 Ch. 12.1.1). Modified the Movement displays to allow the user to designate the width and precision of a column for numeric variables, as well as designate units to display for columns that units apply. Override Regional Numeric Settings within the Movement system to use the current logged on user’s regional settings for numbers. Allow variables to be displayed in different engineering units on the Movement Summary and Movement History displays. Allow data for start and close out to be edited in different units based on the selected column units. Movement System issues found during testing. Enhance the system to support alarm lines that the user can select. Change Fail symbol for loss of connection to an OPC server to OPC Fail. Change FMSystemManager to authenticate against local FMSecurity if the primary resource server is not available. Modify Operate to support up to 4 multiple monitors. In the Security application, add the ability to sort Groups, User, and Categories in alphabetical order. In Archive Manager, modify to write data on change of state. Add capability to use bit masking operations for translations. Modify security settings to limit personnel from running FM applications based on security setting by System name. Add ability to set Tank Command from graphical tank group display. Modify the flow indicator lights in Tank Group so they can be more easily seen and appear to relate to the tank command icon. Add IO Fail filtering to FM Modbus device drivers. OPC Server Source Select window modified to allow manual entry of a computer name. The Browse option is still available. Resolved the issue where quiet time setting was executing in seconds instead of minutes. Quiet time settings now execute in minutes. Resolved the issue where the VCF was changed to 1.0000 after a manually entered start level was entered. The VCF now retains the original setting when a start level is entered manually. This service pack applies to FuelsManager Oil & gas Terminal Automation Edition features. Corrected the issue with the State Select dialog for BOL footnotes. Addressed issues surrounding changing the product in a tank giving erroneous end-of-day transactions. Corrected an issue where one particular product was failing to closeout. Prohibited an already open BOL to be saved if it is posted by a background process. A change was introduced that a BOL status will not be set automatically to Completed if any line items on the BOL are not completed. Users can manually set the transaction to completed. A change was introduced that a Broken Blend BOL cannot be combined with another BOL because the user is unable to closeout the orginal BOL. Changed the criteria for determining when completed BOLs are ready to be sent to PIDX, specifically using the TimeEnd which represents the time fuel loading is completed instead of TimeOut. The Closeout All function now checks for unsendable receipts as well as unposted BOLs prior to allowing closeout to continue. Added the capability for logging communications in the Accuload OPC Server. Corrected an issue where the sub-line item quantities for a blended product would not divide properly on the transaction detail, which caused a discrepancy. Provide improved feedback to indicate the completion of the Closeout All function. Improved save transaction performance by removing unnecessary queries. Improved performance retrieving transaction details by removing unnecessary queries. Fix incorrect tracking of total variance on the Closeout Summary screen. Fixed incorrect number of batches in a multi-batch BOL and incorrect metering amount. Updated the criteria for sending BOLs to PIDX to match those for sending to other 3rd party system, such as SAP. Corrects an error where TCP/IP communications with Accuload.Net devices would not function. Improve error reporting for various fault conditions. Fix quantity rounding to correct a discrepancy between line item and sub-line item totals on manual BOLs. Allow loading of products for which no PIDX authorization is available when PIDX Denial Override is configured. Prevent transactions from being entered on a day which has been closed out. Sets the site configurable variable, Card Timeout, as “do not time driver out” when set to zero. Improve performance when editing a product. Addresses the unbounded growth of the database transaction log fle. Implements multiple product support for the Varec DET-based offload station. The transaction deadlock issue which caused a missing batch on a BOL was resolved. Addresses the unbounded growth of the database transaction log file. Prevents offloading against a supply order with insufficient remaining quantity to contain the offload. Removed the option to offload a second batch during a single transaction. 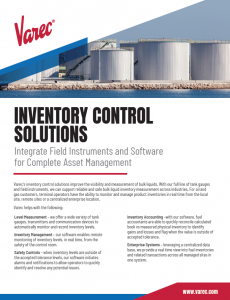 This service pack applies to FuelsManager Oil & Gas Terminal Automation Edition features. This update applies to non-CITGO Petroleum Corporation sites only. Accuload OPC Server – Corrected an issue where TCP/IP control of Accuload.Net devices stopped functioning correctly. SmithMeter card read errors – The errors when reading a card from SmithMeter have been corrected. Non-Posted BOLs Inhibiting Closeout – Closeout without posting BOLs to external accounting systems is allowed. BOL Reverse Error – No longer get Internet Explorer errors when reverse updating a BOL. Improper Additization Error – If the Accuload is improperly configured and causes the additive preset amount to be zero (0) while an additive profile with a rate and amount exists in FuelsManager, FuelsManager will flag the load with an Improper Additization error. Weigh Out Report – Added the ability to configure a weigh out report to document the truck weight when leaving the weight scale. Inappropriate Gallon to Liter Conversion – The issue with Accuload Preset volumes reported in Liters undergoing a Gallon to Liter conversion is corrected. Fuel Card Select – The Fuel Card select form is corrected to open the correct detail page. Driver Unable to Card into Accuload without a PIN – The issue with a driver being unable to card into the Accuload without a PIN has been corrected. Note when running in a split bay configuration, it is necessary to correctly assign the arms to bays in the Accuload configuration; failure to do so results in the clearing of the card number inside the Accuload which results in Authorize to Preset errors. Bay Identifier Added to Accuload Screen – When running a split bay configuration with a single screen Accuload, the arm identifier message has been added to identify which arm is active when the driver is carding in. Revision to Accuload OPC Server – Added the ability for the Accuload to make the Arm Number editable and can be used for either bay A or bay B. When configuring personnel this release corrects the issue where the system was not logging multiple card-ins by the same user. This release corrects the Invalid date error when adding a new driver or trailer. This release prevents previously authorized companies from appearing in the selection list when assigning Authorized companies to products. This release assigns Data Dictionary keys to “Query Writer”. This release corrects the error message when creating new equipment, or modifying existing equipment, with unassigned product, unassigned fuel card, or unassigned company. This release corrects the delay in displaying the Transaction Detail. This release corrects the issue with using the Spanish language pack under Windows 7. This release corrects the issue with printing screens from Operate under Windows 7. This release corrects the issue where footnotes did not accept state assignments. This release corrects the problem where the Tracking Product cannot be set to <None> on the Product General page. This service pack resolved the following issues across the system. Corrected the issue where a terminal closeout is not received due to a network connection problem or other problem. The closeout retries until a copy to the final destination is successful. Corrected the issue where the print dialog was printing when the Print Display function on the menu was initiated. Corrected the issue where multiple logins were required after FuelsManager timed out. Corrected the issue where imports to the Data Dictionary failed if the import contained more than 50 characters. Corrected the issue when certain texts cannot be changed when the Data Dictionary is enabled. Corrected the issue when running 2 company queries back to back. Added the Modify Equipment Data right to correct an issue with Modify OPC Server permission to modify sites and site groups. Corrected the issue where some equipment (trailers) were unable to edit when assigned to certain companies. Corrected the issue with mismatched commas and periods in weights and measurements. Corrected the issue when a second card is swiped, it is not processed. This fix reads every card swipe. Corrected the issue where calculations for treat rates and presets at the Accuload did not match the Bill of Lading and other reports. This release corrects the issue where the system was not logging multiple card-ins by the same user. The Alarm and Event Log now includes enhanced descriptions for events and errors recorded in the log. For example, a transaction error could include a customer account number or a driver name. Enhanced the Bill of Lading transaction, so that when performing a Reverse Update on a BOL, the Apply button is now disabled after the transaction has been saved. Enhanced the creation of a manual BOL, the system automatically populates the Arm, Batch, Meter, Tank, Density, and Temperature fields in the subline item. Enhanced the Bill of Lading summary page to include a new Reversal Type column. This column indicates whether the BOL has been reversed (R type) or reversed and then updated (RU type). This feature is accessed from the left tree view, select Load Rack -> Bills Of Lading. Enhanced Loading to prohibit loading at multiple bays, which created issues when drivers would card in to multiple Acculoads at one time. The system now checks to see if drivers have already carded in. Note: This check only applies to loading and off-loading stations. Enhanced Loading to prohibit changing carriers at Weight Scale or Preload stations for multiple preloads and incorrect carrier and equipment associations resulted on the Bill of Lading. You can no longer change carriers on Weight Scale or Preload stations for multiple preloads. Enhanced the Footnote Configuration page to include Start Date and End Date fields, which you can use to set a date range for a footnote message. Note: The SP2 version of the BOL report must be loaded for the Footnote Effective Date Range to be used. Enhanced the configuration for the Message Timeout setting for the station rather than the site. This includes Load Rack stations, Preload stations, and Gate Entry stations. From the left tree view, select Configuration -> Sites -> Stations. The Message Timeout (sec) field is on the General page. It controls how long a particular message appears on the station. The Station Configuration page is enhanced for a Required License tab that you use to select licenses required for working at the facility. An example of a license would be a TWIC card used by a driver to enter a facility or a driver’s license required to operate a vehicle. Licenses must first be configured on the Equipment Licenses Configuration page so that they are available for selection on the Required License page. Enhanced the Logging feature that supports logging all of the communication information between the OPC server and the Accuload. You can use this text file for troubleshooting problems with the station. To enable this feature, go to the Station Configuration -> General page. Select the Log Communications check box and then type the path name in the Path field. The check box and field set the path where the log file, which is the text file that records station communications, is stored. Note: The directory structure for the path must exist prior to enabling Log Communications. Enhanced the Personnel Configuration, the Load Rack page has a new check box called Inhibit Inactivity Lockout. When enabled, this check box overrides the driver time out period. Enhanced the Load Rack page to include an option for adding multiple companies to a personnel record. Under the Company heading, click Add, select a company from the list, and then click the Save button. This solves the problem of having to create two or more different names for one driver, so that the driver can load for multiple companies. Note: The number of companies assigned to a record is limited to three. Enhanced the Personnel Configuration -> General page has an Offloader role that can be assigned to a driver record. This solves the problem of having to create a training requirement and assign it to every other driver except the offloaders to prevent loading at each bay. The driver role is now called the Loader role. An enhancement allows you to configure a loading ID field to display on the Receipt and Bill of Lading (BOL) transactions. When configured, a drop-down list of available load racks appears on the transaction. You can then select an available station to include on the transaction. Note: Available only if the LoadingLocationID field is configured for the transaction type on the Transaction Alias Configuration -> Fields page, line items section. You can name the field Load Rack or another name, as applicable to your location. The Site Configuration -> Load Rack page enhanced with a field called Card Timeout (Min). This field defines the period in minutes after which a driver’s card is timed out. This prevents the driver from remaining carded in for an extended period. Enhanced the Configuration -> seasonal product changes procedure to make it easier to switch products when blends change from either summer to winter or winter to summer. You can change a product in the Tank Configuration to include the blend that is appropriate for the season. The system then automatically reconfigures any load arms that are not in use to use the changed product. During the course of a loading setup, the recipe configuration appears for product selection. Only those recipes that match the current component configuration of the load arm appear. The load rack service checks the recipes against the configured components, so that you can select from that list during loading operations. Enhancement in all pop-up search windows through out the application, Find is the default action if you press the Enter key. Enhancement to the Arm number to chante it to a drop-down list box to be consistent with the Bay list box in the Transaction line item of the Transaction Detail window. In the Alarm & Event Log enhanced to add the Bay number to the Alarm & Event log with an Unauthorized Carrier attempts to log in. This release contains enhancements to support Microsoft Internet Explorer 9. An enhancement to Configuration->Sites->Stations changes the station Enable/Disable button to a checkbox that is checked if the station is enabled. A confirmation window opens when either enabling or disabling a station to confirm the action. An enhancement to the Load Rack->Operations, the Last Known Good Tank Data Button has been changed to the Tank Data Mode area, which displays the Current mode the tank data is being supplied to FuelsManager. The modes are Realtime Data or Use Last Known Good. The Set To button is a toggle to change the mode. An enhancement to the Ledger > Out of Tolerance, the Ledger displays Out of Tolerance entries as regular text, they are no longer displayed in red. An enhancement to assigning BOL Numbers so that they are now assigned at the completion of the load operation to prevent skipping numbers. The PIDX TABS interface has been enhanced to support both the current 1.02 version and version 4.01 specifications. An enhancement to the Terminal Automation service preforms communication retries on the SQL database during startup if communications cannot be established initially. An enhancement allows a reversal transaction may be entered without an original transaction in the system. This reversal is sent to PIDX and SAP systems. An enhancement ensures the Proximity Card Reader Station reads the card on every scan. An enhancement that if the site does not post BOLs to SAP or PIDX, a configuration setting in Configuration > Sites has been added to allow closeout without posting BOLs. An enhancement lists all products, regardless of tank assignment, are available on the Inventory Reconciliation page to enable accounting for changes in product, such as summer to winter blends. Resolves an issue in which the prompt sequence from DET was incorrect when multiple carriers were assigned to a driver. In that issue, the Back buttons did not return to the Carrier Select prompt. The Back buttons from the PIN and Trailer prompts now return to the Carrier Select prompt. The Alarm and Event log now specifies the PIDX service in the event of a PIDX failure. Resolved the issue wehre the errors when reading a card from SmithMeter have been corrected. Resolves the issue where a driver cards in, the Alarm & Event log displays name of the driver in the Data field. Resolved the issue where you get an Internet Explorer error when reverse updating a BOL. Resolved the issue if the Accuload is improperly configured and causes the additive preset amount to be zero (0) while an additive profile with a rate and amount exists in FuelsManager, FuelsManager flags the load with an Improper Additization error. Enhanced the Batch Stopped message to make it more descriptive. In addition, when an alarm occurs on an arm, the driver can continue to load on the remaining arms that are not in alarm status. In General Configuration, enhancements of two options for establishing the date used when reversing transactions: Current Date and Date of the Original Transaction. In General Configuration, enhanced and added the Show Deleted Transactions? check box. If enabled, deleted transactions appear on the Ledger. Enhanced two user group lists that determine who can view the accounting transactions. Assigned User Groups are those users who can view and modify the accounting transactions. Unassigned User Groups cannot access the transactions. To assign user groups to the accounting transaction, select the groups in the Unassigned User Groups list, and then click the left arrow button. Enhanced and added the Limit Selections Based On Hierarchy option, which limits selections that appear in the company drop-down lists on the accounting transactions detail page. If enabled, only certain sets in the company hierarchy appear in the accounting transaction. Enhanced and added the Auto Create Reference Data, which creates reference data including company, equipment, and product as they are entered on a transaction. Enhanced and added the Multiple Transport Line Items option, which enables multiple transport line items on the transaction. For example, a transaction may include multiple products, which requires separate transport line items for each product. This change affects the Shipment transaction. Enhanced and added Required check boxes that you can use to define the required fields that appear on the accounting transaction detail page. Enhanced and added user group options at the field level to indicate which users can view the field on the accounting transaction detail page. Enhanced and added user group options that define the users who can view site-specific fields on the accounting transaction detail page. Enhanced and added equipment class options that you can use to assign different types of equipment to equipment classes. This is useful when you need to limit the equipment listed in the drop-down list on the accounting transaction detail page. Enhanced and added an Assigned Status list that you can use to define the status types, such as Closed, On Hold, or Arrived, that appear on the accounting transaction detail page. Enhanced and added a Default Status drop-down list that you can use to configure the default status value that appears on the accounting transaction detail page. Enhanced and added an Aggregate Associated Transactions option to associate transactions for use in orders and pick-ups. Added options for assigning company roles on the Company page while you configure the company general information. You can also assign roles to multiple companies using the Company Role Assignments page. Enhanced and revised the Company Role Assignment page, which you use to assign roles to multiple companies. Using this page, you can also assign roles to all companies that belong to a particular site. enhanced and added the Off-Loading field, which is used to configure off-loading operations. Offloading is the movement of product from an external source such as a truck or rail car to either primary or secondary storage. Enhanced and added an option to configure C2 auditing, which is a log of users who viewed a particular record. Enhanced and added options that support auditing of selected user groups. On the Configuration -> Entity Import/Export page, enhanced and added new entity types to the Entity Import/Export page, including Fuel Cards, Standing Offers, and Equipment Types. Enhanced and added the Show Managed Equipment only option. If enabled, shows equipment owned by the site. Enhanced and added the Show Secondary Storage only option. If enabled, shows equipment defined as secondary storage. The secondary storage inventory is updated in real time by the related transactions. Enhanced and added the User Data tab, which includes options for configuring site-specific fields. Enhanced and added the ability to create and modify types. Enhanced and added a Multi-Compartment check box. If enabled, the equipment type can be used with multiple compartments. Enhanced and added the Required Qualifications tab, which defines qualifications that are required for the particular equipment record. Enhanced and added the Required Training tab, which defines training required to operate the equipment. On the Fuel Card Configuration page, enhanced and added a common request feature (similar to Load ID). Use this feature to add fuel cards, which are used by drivers to pay for fuel purchased at sites. Fuel transactions are captured by fuel card swipes at a magnetic card reader. The reader compares the fuel card data to its site configuration and authorization ID database, and then authorizes the fuel card based on programmed criteria. Enhanced and added sorting by column headers. Enhanced and added the Additional Data tab, which you can use to assign date ranges and labor rates to the supervisor. Card: Includes numbers and letters found on the driver’s card. Populated when the card is swiped on the reader. Can be entered manually if a reader is not in use. PIN: Identifies the personal identification number. PIN Required: Indicates that a personal identification number (PIN) is required for this record. Last Activity: Indicates the date of the most recent transaction activity. Carded In: Indicates that the driver must card in. Locked Out Date: Identifies the locked out date. Locked Out: Indicates that the driver is locked out. Lock Out Reason: Indicates why the driver is locked out. Company: Opens the FuelsManager Web page, which includes a list of available companies. Signature Station: Identifies an electronic signature device, as configured on the Signature Station page. Capture Signature: Enables the capture signature pad, where the driver can record a signature. Clear Signature: Clears the signature from the signature pad. TWIC Enrollment: Identifies the Transportation Worker Identification Credential (TWIC) for the driver. Populated when the card is swiped on the reader. Added the Training tab, where you use to associate predefined training requirements with the personnel record. These training requirements are configured on the Personnel Training Configuration page. On the Personnel Training Configuration page, enhanced and added a page used to configure training items that drivers must complete before they are assigned to vehicles. These items can be assigned on the Personnel -> Training page. Enhanced and added a Description field. Enhanced and added options to query on Transactions, Companies, Products, Equipment, Tanks, Personnel, and Fuel Cards. Added a change password option. You can now change your own password. In Password Settings, added enhanced strong password requirements, which are Department of Defense (DoD) compliant. Passwords for user accounts must have a minimum of 15 characters and contain at least two numbers, two lower-case letters, two upper-case letters, and two nonalphanumeric characters such as &, (, +, or $. In User Groups, enhanced and added additional security rights. On the Load Rack page, revised the field order and listed the fields in alphabetical order. Enhanced and added support for the Contrec 1010 interface. Changed the OPC Item ID field to read-only on the Stations Configuration page. Enhanced and added the new Off-Loading station, which defines the station where products are offloaded from a truck or rail car through an automated unloading rack. Enhanced and added to the Off-Loading Station page a new field called Prompt for BOL Number. If the field is selected, a prompt will appear on the off-loading station after the driver enters the product. The number is also stored in the Document Number field on the Receipt transaction. Required Qualifications, which defines the qualifications needed to operate the station. These qualifications are configured on the Personnel Qualifications Configuration page. For more information, see the ‘Personnel Qualifications Configuration page section in the online help. Required Training, which you use to select the training courses needed to operate the station. Training courses are configured on the Equipment Configuration: Required Training page. For more information, see the ‘Adding required training to equipment records section in the online help. Tests and Inspections, which you use to select the tests or inspections required for the equipment, such as a trailer, to load or unload at the station (WI 4023). These test and inspections are configured on the Equipment Tests & Inspections Configuration page. For more information, see the ‘Adding tests and inspections to equipment records section in the online help. Enhanced and added e-mail group notification for alarms and events. Enhanced and added a Group Filter field that enables a filter, such as company or products, for the e-mail group. User Data Configuration page: Enhanced and added Personnel, Equipment, and Fuel Card entities. Views Configuration page: Enhanced and added the Supply Order type. In the Accounting Ledger, Enhanced and implemented performance enhancements. On the Allocations Configuration page, enhanced and added the Grid Size list box, which is used to select the number of rows to display in the grid, or table. Enhanced and added an option to combine multiple Bills of Lading (BOLs), which moves all line items from one BOL to the other and leaves the second one blank. Enhanced and added a view-only option for the BOL Summary. Enhanced and modified the Load Rack and Unload to associate transactions with order line items. Enhanced the Stations page, enhanced and added the capability to enable and disable stations using an Enable/Disable button. Enhanced the Station Arms page, enhanced and added a new node called Station Arms, which includes the same capability to enable and disable stations using an Enable/Disable button. Enhanced the Online Documentation help procedures. On the Order Entry page, enhanced and added the Supply Order transaction type, and renamed Order to New Sales Order. Redesigned the Query Writer application to include expanded search criteria and advanced formatting options. Enhanced and added a new message ‘Query results too large. Please narrow results using filter criteria.” This message appears if the query results are too large to display. Enhanced the performance stability on the OPC client. Enhanced the handling of invalid OPC tags removed from external OPC servers. Varec\SCADA\DataManager\DoAutomaticDatabaseBackups registry entry. A value of zero disables automatic backup; a value of one enables the option. At startup and at midnight, Data Manager creates a directory under the main project directory called the day of the month (00 – 31) and places the backups there. Enhanced and added Bottom, Sediment, and Water (BS & W) fields to the movement start/stop variables in the Operate application. Implemented the ability to annunciate alarms via the computer speaker and sound card. The EnableSound and EnableBeepAndSound registry entries control these options. Implemented Modbus driver enhancements. Added the MTS Level probe, Enraf 854, and Varec 6000 servo gauges, SAAB FCU device, and SAAB radar gauge to the Modbus device driver. Also enhanced the Modbus Master driver to support TCP/IP network communications and standard COM serial communications. Implemented the ability to edit the tank temperature on the Movement Summary Edit Node Start Data, the Movement History Edit Start Data, and the Edit Closeout Data dialog boxes. Re-enabled the profiling capability of the Enraf 854 servo gauge, which was disabled in a previous version when ProServo and SG6000 profiling were added. Re-enabled the profiling capability of the Enraf 873 radar gauge and resolved an issue in the level conversion for Enraf and SG6000 temperature profiles. Also improved the handling of European number formats. Resolved an issue that occurred when renaming or copying an existing point would delete the original point. This release addresses issues across the system and provided enhancments to the Terminal Automation System elements. In the Modbus Slave Driver, enhanced to add the ability to import/export Modbus Slave settings. In the Database Management and Calculation System, resolved the issue where the alarm Log does not display some alarms. Enhanced the Leak Detection System to add a Pipeline Leak Detection System through adding two new database point types called a Meter and Pipeline. Enhanced the Operator Interface, so that ETA Calculations are now visible in FMOperate. Enhanced support for color coding of products. Enhanced the Draw Detail Template to display all the input and output variables. Enhanced the Min/Max limits for values in a graphic so it can be modified from within FMOperate. Enhanced the ability to limit which SCADA graphics appear in FuelsManager Terminal Automation. Enhanced and added sessionID in report component. Enhanced the Tab Order on User Configuration Page to follow a logical order. Enhanced and added the Enterprise Transaction Transmit Feature. Resolved the issue with an Inventory Reconciliation Grid display error. Enhanced so that a Site appears immediately in Sites drop-down list after being added. Enhanced and added a feature for when Driver is Set on Order Driver must match to authorize the load. Enhanced and added a feature when Equipment is set on Order, Equipment must match to authorize the load. Enhanced and added allocation warning/denial alarms to specify the component of blend. Resolved the issue in FMDatamanager so OPC Status from Kepware would be properly reflected in FuelsManager. In the Movement System, resolved the issue where the location on the movements summary would not return to same position after a screen update. Resolved the issue where a closeout error when login as siteadmin on a multiple site system. Resolved the issue where Equipment Import Issue corrected. Resolved the issue where Time changed to show LoginSite times for all transactions. Resolved the issue where an Inventory Date and Transaction Inventory Date problem. Resolved the issue where an error saving and deleting transactions when logged into group site. Resolved the issue where the screen goes blank if UserData List Max Length exceeded. Resolved an issue where Data Dictionary Assignment to Sites did not propagate to site. Resolved the issue where Date Validation on Transaction Screen did not recognize regional settings. Resolved the issue where excluded Products should not show up on Tx Detail. Excluded products no longer appear. Resolved the issue where the bottom Add button on Product Select was not functioning. Resolved the issue where the transaction detail would not save due to date error. Resolved the issue where the Data Dictionary was not handling the & symbol properly. Resolved the issue and changed the default to Manager & Owner on Transaction when single Manager/Owner. Resolved the issue where the closeout confirmation box shows wrong date format. Resolved several issues where the DD/MM/YYYY date format was not properly functioning. Resolved the issue with the Inventory Closeout Summary. Resolved the issue to inhibit Automatic Physical Inventory flag was not used in the closeout process. Resolved the issue and corrected Order Associated Transaction problem. Resolved the issue where the grid cancel key was not properly handled. Resolved the issue and added a Product selection to filter on BOL Summary page. Resolved the issue where the Site Group Entity Ownership was not Working Properly. Resolved the issue where LineItems and SubLineItems were not being marked as Deleted. Resolved the issue where the physical Inventory was not computed correctly for a Site Group. Resolved the issue to add Event Logs for every transaction update. Resolved the issue where the no Ship To Validator Results were not presented properly. Resolved the issue in the Ledger Manager to calculate correct Total Movement. Resolved the issue in FuelsManager Terminal Automation where sessions in tabs in IE7 no longer share cookies. Resolved the issue where the OPC Connection Configuration Page was ignoring data dictionary settings. Resolved the issue where Independent roles for companies can now be assigned from a Site Group. Resolved the issue with exporting companies. Resolved the issue where Alarm & Event configuration Source drop-down list is now persisted. Resolved the issue where Emails are sent out if there are no priorities assigned. Resolved the issue where the Change password page failed when the Enter key is pressed. Resolved an issue with Company entity import error when a company has an access schedule. Resolved the issue where to add a provision for Allocation Disable for Ship To. Resolved an error when deleting a Site Group. Resolved the issue where the Preload & Weight Scale Station can now Inhibit Loading By Load ID. Resolved the issue where Transaction Saved’ message when editing transactions removed. Resolved the issue where the tanks icon on left tree view changed in size. Resolved the issue where the use of the Apply and Save buttons are standardized throughout the user interface. Resolved the issue and added support for the Daniels Danload 6000. Resolved the issue and added support for Pre-Authorization Ticket. Resolved the issue and added ability to report on load times. Resolved the issue where the Loading Location to be in Line Item. Resolved the issue where Tank Std Density can now be set by Accuload. Resolved the issue where Pre-Load Station now supports Entry Gates. Resolved an issue where the preload against Order with leading “0” fails. Resolved an issue where the allocation checks are not applied correctly. Resolved the issue and added a configurable option to prompt for Order. Resolved the issue where the System now supports Order Quantity expressed in Gross. Resolved the issue where load rack service for Daniel Station Manager so it won’t output to Disabled Arms. Resolved an issue where additive totals are incorrect with Daniels DanLoad 6000. Resolved the issue and added support for the a TCP/IP interface on the Accuload OPC Server. Resolved the issue and updated to a more specific error on alarm for injectors. Resolved the issue and updated so User without View Company right does not have edit enabled on company select. Resolved the issue and updated so User without product rights is not be able to edit during product selection. Resolved the issue where Login problem with users that do not have view site rights. Communications Manager – Added the polynomial y = (a * x – int(b *x)) * c+d to CommManager device drivers. Modbus Master – Corrected problem when referring to resource translations, Modbus Master source not translated. Corrected DCOM settings allowing access to DM. Corrected problem with Throughput Calculator reporting errors and failing with too many tanks. Corrected problem with the OPC system names showing random characters in the FMSysConfig file. Corrected problem when change in the product configuration server not reflecting on the client server. Added support for API 2004 calculations. Corrected problem where the tank calculator did not properly update the water volume. Corrected problem getting FMSysConfig v7.1.0.96 to fully launchwith the MAP Detroit database. It now shows up in the Task Manager as a process. Corrected problem with a user unable to import source assignments with “Degrees Centigrade” set as the source units. Corrected problem when exporting strap table(s) using a CSV index, line breaks were written with an extra carriage return character (CR CR LF (ASCII bytes 0x0D)). Corrected problem with FuelsManager 7.1 SP1 not launching out-of-the-box, installer denies FMSystemManager DCOM launch/activation rights to some unresolved group name (groups in the ACL are now considered local groups). Corrected problem with FMLog not compiling and compatibility with XML 6.0, now updated to compile and is compatible with XML 6.0. Corrected problem in FM72 when a hatch or pattern is used causing the background color assigned to be used for poly objects. Corrected problem with FM72 level limits being available for tank details, but not for graphics. Corrected problem setting Mass Flow Deadband and subsequent calculations where the value shown in the TankPoints export is always about 2.204622 times greater than the value in the TankPoint 1 export csv file. Implemented change to set tank alarms via the tank import/export option. Corrected problem with the Tank Commander Scheduler allowing the scheduling command to accept a day of month greater than 31 days. Corrected field name in the Tank Commander Scheduler, field changed from “Quit Time” to “Quiet Time”. 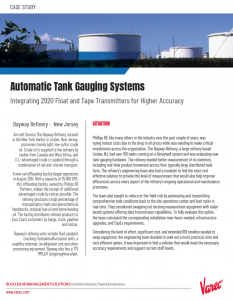 Corrected problem with Transfer Advisory Setpoint alarms going off for tanks that have setpoints that are far from the current level of 15 minutes. Corrected problem with OPC servers based upon COM+ model, not calling GetModuleState in the ASyncThreadStub. Corrected problem with Optomux OPC server hanging on a socket read when the DET malfunctions failing to send a response to the Optomux OPC server. Added “Comments” field to TankPoint. Added feature so that a template graphic can be configured with information for Input Point data. Corrected problem where the graphic bar on the graphic template would not scale for all points assigned. Corrected problem with DrawNT application, not supporting wide monitor format. Corrected problem using gradient on a text or value field with a background ignoring the pen border setting for the object. Corrected problem with text and value alignment (left and right only) inserting half the field between the example value and the justified edge. Corrected problem when pen is null, the background of a bar on the detail screen is always transparent. Corrected problem in Operate, tank detail font blurring after a few minutes on the screen. Corrected problem with DrawNT when merging two graphics at a resolution of 1280X1076, graphics not scaling properly. Corrected problem in Shared Components by adding view graphics right. Corrected problem when filtering by movement names. A scroll bar is now present for the movement of long names. Added menu options for pre-editing stop data on a movement without having to go to the Movement History. Corrected problem with Movement History not displaying start time correctly. Corrected abort problem with the editing of movement start/end data for a meter requiring the database record to be retrieved from the movement log. Corrected problem with movement summary consuming large amounts of network resources when two clients running the movement summary, the NIC card on the server running at 80 mbps. Corrected problem with the movement server not using change detect when changing any value on the movement summary resulting in the whole summary being sent to each client. Correct problem in the movement of “Transfer Completion” not having proper setpoints where the time is not being calculated. Corrected problem with some barge movements with meter nodes editing the closeout data. Added the ability to save and restore multi-window views in FMOperate. Corrected problem with Operate not always starting when launched from profile or batch. Added new features for density profiling. Installed an alarm for Marathon to be controlled by the operators not resulting in an entry in the alarm log. Corrected problem with OperNT alarm when dragged to left side of panel. Corrected problem in Operate when attempting to edit the value of an input point of type string OperNT producing an error message stating that it needs to close OperNT. Corrected problem with Load Rack, Proximity Card Reader now supports Entry Gate & Exit Gate. Corrected problem with Load Rack, Back at Enter Trailer prompts failing for DET Load Rack. Corrected problem with Load Rack not returning to equipment prompts for DET. Corrected problem with Load Rack producing duplicate Meter Closeout transactions. Corrected problem in Shared Components with storage locations not displaying for additives. Corrected problem in Shared Components with Rack Status, removing Manager, Owner, Supplier, and Bill To, and adding Carrier, Equipment, and Load ID. Corrected problem in Accounting where Owner, Shipper, and ShipTo not required for Type 12. Corrected problem in the Load Rack where product code is now supplied with Meter Closeout. Corrected problem in Load Rack where Preclude Card In is only at Load Rack Stations during specific times. Corrected problem when entering a transaction without a temp or density, the value in the NetQuantity field now defaults to the value in the GrossQuantity field. Corrected problem in Shared Components with the purging of a site failing when a transaction alias is assigned to the site being purged and is also configured as the physical inventory alias. Corrected problem in the Load Rack where the System Message Timeout and Prompt Timeout are greater than 999 causing problems with the Accuload Station Manager and Accuload Load Arm Manager. Corrected problem in Accounting where Order PO not populating associated Trans PO properly. Corrected problem in Accounting where the gross not being calculated from net properly. Corrected problem in the Load Rack where an error is produced in Update Recipe Writing Additive configuration. This release addresses issues across the system and provided enhancments to the movement system. In Modbus Master, added the capability to use Modbus function code 5. Enhanced ‘Bottom Pressure P1’ to list of available OPC variables for client access. Enhanced support for ‘else’ condition in translation tables. Enhanced the ability to create template graphics for repeated use of screens with information for similar field devices. Enhanced the ability to create a fixed size graphic. Enhanced the ability to configure any graphic to be floating in its own window. Enhanced the function to make any graphic linked or unlinked to a host graphic. Enhanced the ability to use visibility conditions on bitmaps. Enhanced the feature to automatically add all variables needed for leak detection to archive. Enhanced the interface with Barton TCU tank gauges to account for potential of gauge not resting on bottom of tank. Enhanced the leak test pass/fail to be based on the threshold rate. Enhanced the Operator Interface to add a new feature for density profiling. In Security, Enhanced the Tag Group security item to allow operators to issue an output point command. Added a new feature which allows for density profiling. Enhanced the polynomial y = (a * x – int(b * x)) * c + d to CommManager device drivers. Enhanced the movement summary performance. Enhanced ‘Planned Start Time field to the movement summary. Enhanced ability to copy movements. Enhancement to create new ‘Pending movement status. Enhanced function to allow user to manually modify movement start/stop data. Enhanced function to allow user to retrieve start/stop data from the historical archive. Enhanced function to automatically start/stop a movement based on a specified input point. Enhanced the summary and history to allow for in-place editing of ‘Order Number’, ‘Comment’, and all user defined fields. Enhanced the ‘comment’ field size to 200 characters. Resolved the issue where the Movement system now writes a movement start record to the log file. Enhanced movement summary and history to display movements with alternating colored backgrounds and eliminated the blank line between movements. Enhanced the ability to collapse a movement to a single line or expand the movement to display all lines using the common ‘+’ and ‘-’ tree icons. Enhanced the ability to collapse all and expand all movements in the summary or history. Enhanced the two new security rights to the security system for the new movement features. Resolved the issue in use of water tables. Resolved the issue that required running FMSysConfig twice to update TankGroups. Resolved the issue in the source assignment import feature to include OPC connection verification during import. Resolved the issue in the source assignment export feature allowing user to specify types of source assignments desired for export. Resolved the issue when using Product Code and Product Description in graphic condition definitions. Modified the default minimum interval update time to 5 minutes. Removed option for backing up SQL database from our application. In Graphics Configuration, resolved an issue where a Graphic “Bar” on template graphics would not scale for all points assigned. In Reports, resolved the issues surrounding errors in ‘Last Full Week’ and ‘Last Full Month’ historical tank change reports. Resolved the issue where the Movement History did not display start time correctly. Resolved the issue where movements w/meter nodes are written to log wrong when stopped with historical data. Resolved the issue that occurred when filtering by movement names, a scroll bar is now present for long movement names. Resolved the issue and modified the movement summary to indicate tank variable alarm status. Resolved the issue to allow simultaneous active movements with the same source or destination. Resolved the issue to remove restrictions for using special characters for user entered data. Resolved the issue when opening operate to a remembered tank detail when accessing a two-level database. Resolved the issue with custom historical and real-time trends that prevented operator from specifying a date/time range. Removed ability for operator to select method for alarm bar notification. Alarm bar now always displays the newest unacknowledged alarm. Resolved the issue to remove icons for alarm navigation on the alarm bar. Resolved the issue to remove the icon for alarm summary on the alarm bar and relocated link for alarm summary to the alarm lens. Enhanced support for API 2004 Calculations. Resolved the issue where the Tank Calculator did not properly update Water Volume. Resolved the issue where a user was unable to import source assignments with “Degrees Centigrade” as units. Resolved the issue with translating bit field input from a communication interface point directly into an input point. Added the capability to use Modbus function code 5. In the 8130 RTU Driver, updated driver to include support for new (RTU3_30+) firmware point naming convention. Corrected Application Extensions to correct the error in Operate that would prevent custom application dll’s from being loaded. Resolved the issue to track number of temperature elements configured since the 6000 Series Servo Gauge sends random data for any temperature element that is not configured. Corrected several issues with 8130 Profiling feature, including correctly converting of convert engineering units and initialization of values from FuelsManager real time database so the database is populated properly. Resolved the issue that caused a 6000 Series Servo Gauge to be treated as an Enraf 854 gauge. Resolved the issue with memory overwrites problems when a computer name was 15 characters in length. Resolved the handle leak that (over time) would cause the 8130 driver specific operate menus to fail to load. Resolved the issue that would cause a blank message box to be displayed when initializing driver. Resolved the issue that would cause an infinite loop in operate when Communications Manager was shutdown or Communications with the server were lost. Resolved the issue to add odd and even LRC calculation and selection. Resolved the issue to add the ability to designate units on the transmitted data. Enhanced to automatically return to following level after doing a find water level. Enhanced the follow water level command. Resolved the issue with the scanning of points not connected to a database point. Enhanced database point refresh when placing a tank back in service. Enhanced shutdown of threads from infinite to 45 seconds and added an event noting the thread that did not shutdown within the 45 second time frame. Enhanced code to update OPC connections when variable is taken out of a overridden state. Resolved an issue with a shutdown problem in the OPC client. Enhanced the ability to designate an else statement in translations. Resolved an error when exporting source assignments with a computer name of 15 characters. Resolved solids and water volume calculations on the tank calculator. Resolved the issue in passing the correct the size of the strings in the “SQLBindCol()” function. Resloved the issue of setting of status variable for table columns. This was incomplete if the column header already existed. Resolved the issue that would prevent a new product from being added to the archive. Resolved the issue of using the actual maximum tank volume to when calculating the leak rate. Resolved the issue of handle regional settings and commas digit separators in tank volumes data. Resolved the issue of create minimum percent fill for tanks on startup. Resolved the issue of discarding samples that do not meet an associated minimum fill percentage. Enhanced Reports to add new report, LeakTestReportMinPercent. Resolved an issue in Communications Manager to added retry mechanism when starting active communications drivers to account for network serial adaptors that startup slowly. Resolved the issue import and export of movement data. Resolved the issue to allow set points in percent to have decimal points and be based on regional settings. Resolved the issue to correct the operation of movement type blends when using percent setpoints. Revised the node name database column size from 20 to 50 to handle long node names. Resolved the issue where an error in print preview of historical movement reports that would result in the wrong movement being displayed or no movement data at all being displayed. Revised an abort when printing movement tickets. Resolved the issue where errors in individual node implementation that would result in tank transfer status not being set properly. Enhanced user defined menu strings to the movement popup menu. Replaced alphablend function with StretchBlt to improve display of bitmaps. Resolved the issue with how the graphic file names are handled to correct an abort when opening a file names with a space in them. Resolved the issue with graphic routines that handle bitmaps to reducing CPU usage. Resolved the issue with counter mismatch that could cause the alarm lens to continue to flash even though there are no unacknowledged alarms. Removed the ability to resize alarm line. Removed the ability to hide alarm line. Reduced alarm line size to maximize graphical display area. Added registry entry that allows the user to display the current time and logged on user on the alarm line. Resolved an issue in the TankGroup functionality that would cause an abort when upgrading tank group displays from version 4.3. Resolved an issue that would prevent the tank description from updating on graphical tank groups as tanks are scrolled into view. Resolved an issue where a memory over write problem dealing with the 2003 .NET compiler when creating a new tank group. In Reports, resolved the issue in sorting when sort by product and sort by system were both selected. Resolved the issue with the Sentinel hardware key routines to handle the error being returned from the new sentinel driver when a key is not present. Resolved the issue to account for a possible error where the program revision was being checked even though a key failed the read operation. This release provided enhancements and addressed issues from v6.0. Enhancements to the Operator interface that provides optimized access to common user functions using a user configurable task groups and toolbar. Enhancements to the User configurable alarm toolbar that can re-sized or hidden to maximize screen real estate. Enhancements to the pop-up notification of alarms using Windows toolbar, allowing for operator notification of alarms even if the Operator interface program is minimized. Enhancements to the Web server interface allows users to access inventory data, custom graphics, and reports using the Microsoft Internet Explorer web browser. Enhancements to the Enterprise Edition that collects data from multiple FuelsManager Professional or Standard systems and provides access to this data using the Microsoft Internet Explorer web browser. Enhancements to the native communications driver that provides an interface to the Enraf 858 CIU. Enhancements to the profiling support for Varec 6000 series servo gauge. Enhancements to the support for function code 08, diagnostic code 00 to Modbus Slave communications driver. Enhancements to the Historical reports to use Crystal Report v9.0 viewer. Enhanced the Point Browse feature to allow the user to display multiple point/parameters at the same time. Enhanced the creation of default FuelsManager security file to add the currently logged on user at the time Operate or Configuration are first run. Enhancements to the FMKeyRead tool providing a means of reading the configuration of the revised hardware license keys. Added the ability to select between OPC v1.0 and OPC v2.0 servers. Added ability to select Standard Density units for polynomial correction method. Resolved the issue with the Modbus Master communications driver to allow user to specify word order used when packing floating point numbers into Modbus registers. Resolved the issue using bitfield data type points with the Modbus Master communications driver. Resolved the issue with Whessoe Bus communications driver to correctly process retries for level and temperature data values failures. Resolved the issue with Throughput calculator that would cause error message when attempting to run calculation. Resolved the issue with the memory leak in FuelsManager FMDmp application. Resolved the issue that caused FuelsManager FMDmp application to hang when launched from the Operator Interface About dialog box. Resolved the issue with the polynomial sphere volume calculation methods to allow use of Transfer by Volume tank mode. Resolved the issue with the processing of polynomial sphere page that would prevent the user from being able to exit the page after making a change. Density and Standard Density difference rows were incorrect on the Start and End Data pages in Edit Handgauge dialog. Time/Date column in the Edit Handgauge dialog should be Date\Time. Employee ID field displays incorrectly on the End Data page. Resolved the issue with the Movement Summary column filter selection dialog show duplicates. Resolved the issue with the Leak Detection module being unable to access the historical database when running under Window XP SP2. Resolved the issue with updating archive databases if the regional options are not set to U.S. English. Resolved the issue with the Movement server modified to be XP SP2 compatible. Resolved the issue with points not being updated in Operate after assigning them to OPC. Resolved the issue with the FMDataManager crashing when exiting after adding or removing assignments to OPC. Resolved the issue that prevented translation of source units when forcing values. Resolved the issue with optimizing the OPC interface to provide speed enhancements. Resolved the issue with the Modbus Master Maintenance dialog not updating in Windows XP. Resolved the issue with the Handle leak isolated and fixed in the tank command processing that could result in an operate lockup when issuing a command. Resolved the issue with the tank import routine that would not set the value of corrected volume engineering units to match those in the database configuration file. Resolved the issue with several mutex lineup problems that could result in FMDataManager being locked on a mutex for 2 minutes, effectively stopping the system. Resolved the issue with changing volume calculation routines to use the correct variable for determining the destination engineering units. Resolved the issue with Tank points being created with the first translation table instead of none. Resolved the issue with source assignment import/export not importing OPC assignments or translation tables. Resolved the issue with Input/Output points not importing translation tables. Resolved the issue with the export of products including extra lines after each product. Resolved the issue with Alarm Bar/Summary not displaying alarms in categories greater than 16. Resolved the issue resulting in an error message “Error opening bitmap” when multiple large bitmaps are used in operator displays and the operator switches back and forth between such screens without closing previous screens. Resolved the issue with start time in the movement summary not displaying in the movement summary but being shown on the movement history and reports. Resolved the issue with the Historical Trend pen selection in Operate not displaying Vapor Press P3. Resolved the issue with the FMSim tool when using Chinese native language. Resolved the issue with the FMDmp diagnostic tool where certain parts of the diagnostic data were not being captured. Resolved the issue with the alarm lens problem that would cause the alarm lens to continue to flash even though all alarms had been acknowledged. Resolved the issue with the scaling problem with graphics that would cause bitmaps to distort when down-sized. Resolved the issue with abort in FMDataManager that could occur when starting with an empty database.